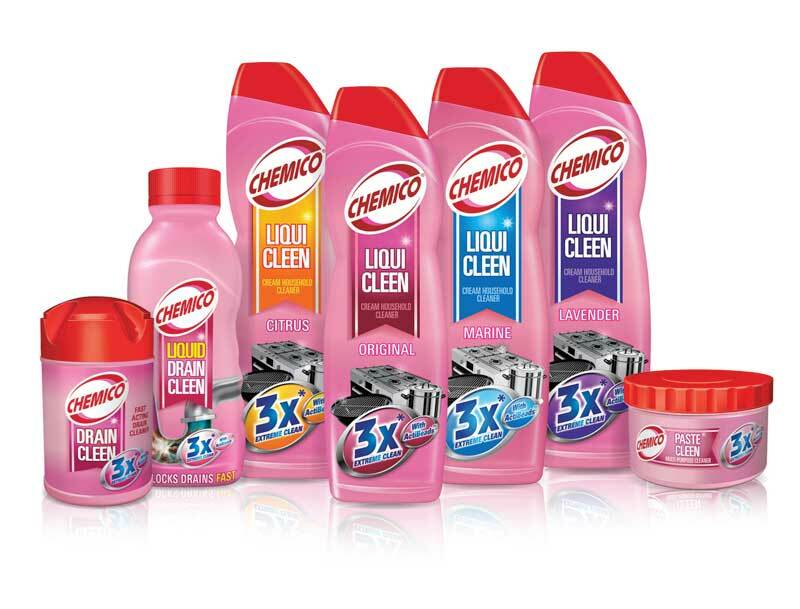 Chemico household cleaners have built an enviable reputation over more than 80 years with the little pink tub having been a common resident in the kitchens and bathrooms of our grandparents, parents and today's generation. The researched, tried and trusted formulation of Chemico will continue to launch products for the new generation consumer, in up to date packaging, as well as formulation and technology that is in line with global trends. Chemico products boast 3X Extreme Clean claim across the range and are constantly being upgraded when it comes to quality and innovation.